All 66 guest rooms are designed with your comfort and convenience in mind. Choose from a host of different room types including double twin.All rooms are Air-conditioned. Multi-channel television with Pay TV High speed Internet access available Electronic Door locks Direct Dial Telephone with voice mailThe Breakfast room which offers a large breakfast each day. One of the feature is the Kosher Corner which offers an alternative to our regular breakfast. All 66 guest rooms are designed with your comfort and convenience in mind. 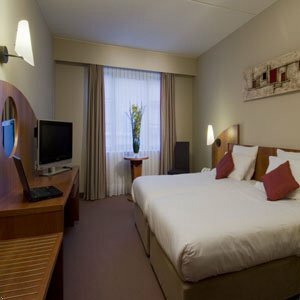 Choose from a host of different room types including double, twin and disabled access. E 19 to Antwerp. On the ring around Antwerp take exit 3 Borgerhout At the traffic lights take a right. Always straight on 2 times under the railway.Take a right onto the Quinten Matsijslei at the City Park. Take the 4th street to the right and you will see Astoria Hotel on your right side. E 19 to Antwerp. On the ring around Antwerp take exit 3 Borgerhout At the traffic lights take a left. Always straight on -2 times under the railway-.Take a right onto the Quinten Matsijslei -at the City Park-. Take the 4th street to the right and you will see Astoria Hotel on your right side. E 19 to Antwerp. On the ring around Antwerp take exit 3 -Borgerhout- At the traffic lights take a right. Always straight on -2 times under the railway-.Take a right onto the Quinten Matsijslei -at the City Park-. Take the 4th street to the right and you will see Astoria Hotel on your right side. E 19 to Antwerp. On the ring around Antwerp take exit 3 -Borgerhout- At the traffic lights take a left. Always straight on -2 times under the railway-.Take a right onto the Quinten Matsijslei -at the City Park-. Take the 4th street to the right and you will see Astoria Hotel on your right side.